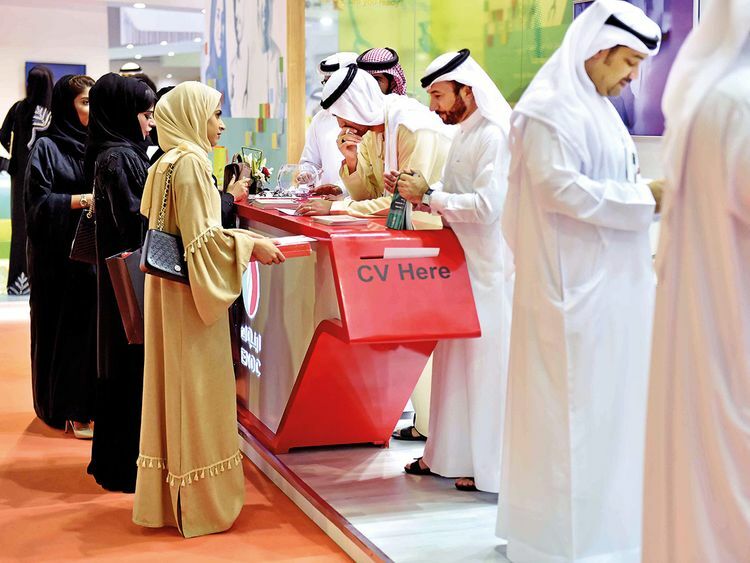 Dubai: Job creation and employment growth across the GCC is expected to slow down in 2019 due to subdued non-oil growth despite higher government spending plans, according to rating agency Moody’s. Moody’s analysts expect overall GDP growth in the GCC to remain broadly unchanged this year, at 2.3 per cent on average. The cuts in oil production agreed by Opec+7 nations in December 2018 will lead to stable or slightly decelerating oil GDP growth, while non-oil GDP growth is expected to pick up only modestly. From a sovereign credit perspective, the rating agency said the main significance of growth in the GCC, particularly in the non-oil sector, is as a driver of job creation for the burgeoning national populations. “In the current environment, we expect unemployment to be broadly unchanged or rise slightly further across the region. Over the longer term, demographic trends will cause joblessness to climb, unless the participation of nationals in the private sector increases significantly,” said Thaddeus Best, an analyst at Moody’s said in a note. Non-oil growth is expected to remain subdued compared to before the oil price shock, although all GCC countries except Bahrain are likely to see non-oil growth stabilise or increase in 2019 from 2018. Moody’s expect non-oil growth to stay around 3 per cent in 2018-19 and average 3.4 per cent in 2020 for the region as a whole. Latest purchasing managers’ index (PMI) data from both the UAE and Saudi Arabia showed decline in both output and employment growth in non-oil private sector. The UAE’s PMI for December dipped to a two-year low from 55.8 in November to 54 in December signalling slow pace of growth in the non-oil private sector. December’s headline PMI marked the slowest pace of expansion in the non-oil private sector since October 2016, and has weighed on the 2018 average, which declined to 55.5 from 56.1 in 2017. December PMI data showed the continuation of a weak rate of employment growth across the non-oil private sector across both the UAE and Saudi Arabia. Analysts expect job creation that is slower than rapid growth in the national labour force will lead to rising unemployment. For Saudi Arabia, Oman and Kuwait, in particular, rising unemployment could prompt additional labour market nationalisation measures, which could reduce productivity and deter foreign investment. Oil sector contribution to growth is expected to be curtailed by lower hydrocarbon output. The output according to Moody’s will shift to a neutral-to-negative contribution to growth in 2019 from a positive contribution in 2018, as the GCC assumes over 40 per cent of the Opec+ production cuts. Slowing global growth poses downside risks to oil demand and prices. We forecast Group of 20 leading economies to grow 2.9 per cent in 2019 and 2.7 per cent in 2020, slower than an estimated 3.3 per cent in 2018. Risks to global growth stem from the impact of broadening tensions between the US and China, and tightening financing conditions. In November 2018, Opec lowered its forecast for the increase in global oil demand in 2019 by 70,000 barrels to 1.29 mbpd, bringing the total demand forecast for the year to 100 mbpd. Moody’s sai a sharper-than-expected global slowdown would weaken oil demand and weigh on prices unless production was cut further. In turn, lower oil revenue for the GCC would curb non-oil and overall GDP growth as governments would be more constrained in their ability to support their economies. Five of the six GCC governments that Moody’s rates currently have a stable outlook, while Oman (Baa3 negative), has a negative outlook. At the start of 2018, three of the six carried a negative outlook. While the likelihood of downgrades has diminished, it is partly from lower rating levels, following actions on Bahrain (B2 stable) in 2018.